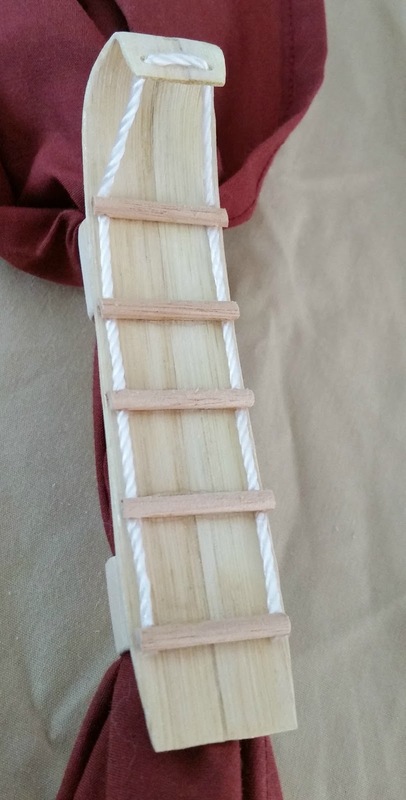 Coming on the heels of the showshoe slide, I knew that I would use basketry reed to complete this slide. I glued a couple of reeds together using super glue and soaked it in water to make it pliable. Bent it around a dowel and let it dry until it would retain its shape. I drilled a couple of holes for the top for the ropes and glued the crossbars in place. A couple of coats of poly finish it up.